I’m obsessed with K-beauty and love that our Korean mother seems to be on the forefront of the latest Korean beauty trends. One of her beauty must-haves is the cushion makeup, and just by seeing a huge difference in her makeup base, I had to give it a try! 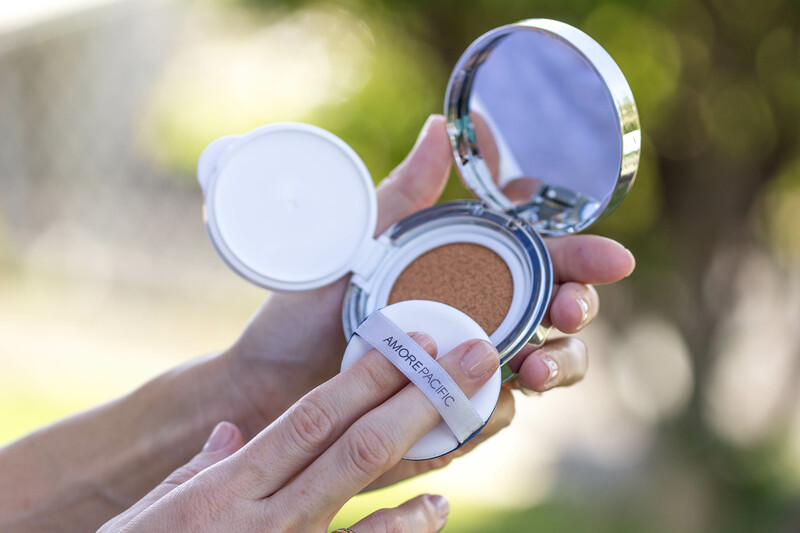 If you’re clueless to know what a cushion compact is, it’s similar to a BB and CC cream in-one, but with added perks. This travel friendly compact transforms liquid foundation into a lighter emulsion giving your skin almost an airbrushed effect. 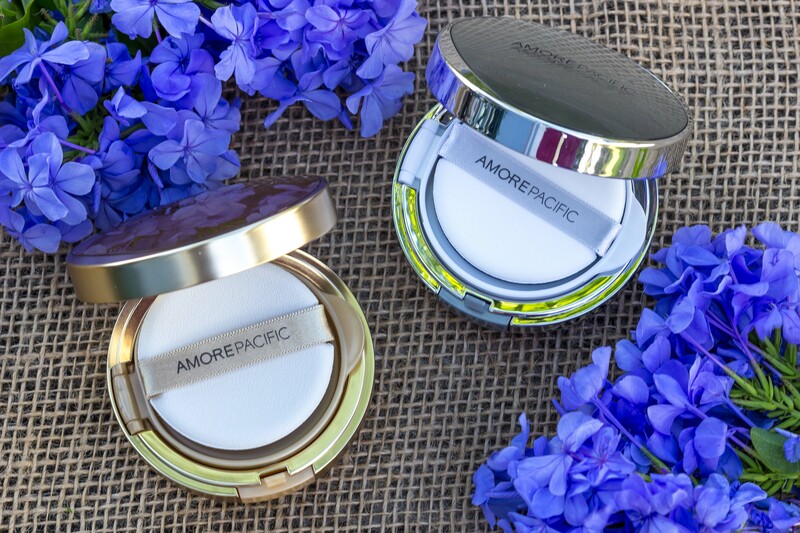 You will find that It’s packed with anti-aging ingredients, hydration and sun protection. 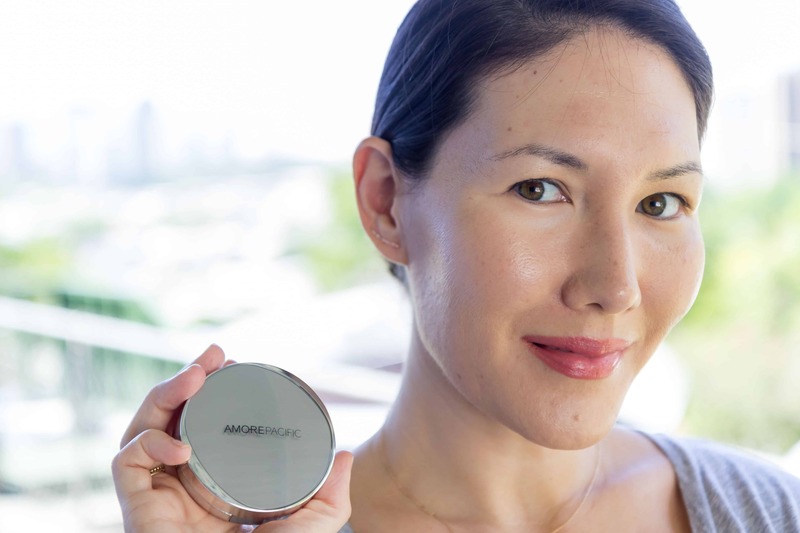 Since AmorePacific has two different types of cushion compacts, I had to test them out to see the difference and yes, there is a big difference between them. 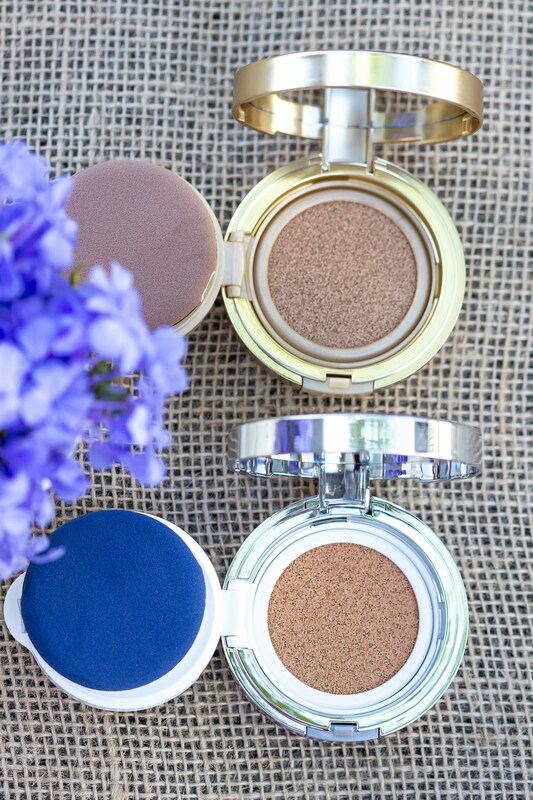 Read all about why you need to jump on the cushion compact bandwagon- Let’s just say your skin will be thanking you! I really loved this cushion compact overall. I hardly wear foundation, but I like the light to medium coverage it gives, along with the dewy, natural finish. If you’re looking for something that offers a weightless feeling that has buildable coverage with a high SPF, this is perfect for you. It truly makes you look flawless! The age correcting foundation cushion is an anti-aging formula that contains a powerful combination of potent botanicals and proprietary technology that improves skin visibly and over time. This comes in a gold compact and same like the color control cushion compact, it offers 5 shades depending on your undertones- yellow or pink. I got the same #204 light/medium shade and this was a little darker on the skin than the other one. I also noticed that this went on a little thicker than the color control cushion compact. I think this is where the difference of the Age Correcting Foundation Cushion and Color Control Cushion differ is the coverage. I recommend applying some sort of primer before so that it doesn’t cake on. The Age Correcting Foundation is more of a medium to full coverage, where the Color Control Cushion is light to medium coverage. The Age Correcting Foundation does offer SPF 25, whereas the Color Control Cushion offers more at a SPF of 50. When applying this on, I also felt like it had a stronger floral scent than the Color Control Cushion. Even with this giving the medium to full coverage, it still felt weightless and light, which is a huge plus! The staying power was exactly the same as the Color Control Cushion, it stays on till you take your makeup off. (Even in the Hawaiian heat!) The finish is more matte than dewy, but still gives a healthy glow to the skin. I liked this cushion compact as well, but I would use this on days that I needed a heavier coverage and more of a matte finish. I wore this half on one face and half on another to see at the end of the day how well both would hold up. My skin still looked polished as it did 8 hours earlier and glowy. Even-Layer Protective Technology ™ conceals pores and visibly evens out skin tone to prime skin. Long-Lasting™ Complex maintains coverage even through hot and humid conditions. Green Miracle T™ , AMOREPACIFIC’s patented ingredient, helps to restore skin and boosts natural suppleness and density for a youthful appearance. Green Tea Polysaccharides, a powerful antioxidant, protects skin’s surface from environmental aggressors. Broad Spectrum SPF 25 protects skin from harmful UVA and UVB rays that cause skin aging. The color #204 matches my skin perfectly, where the Age Correcting #204 was darker. The finish is more dewy and glowy, where the Age Correcting is more matte. The SPF is higher at 50, compared to SPF 25. The scent is a lighter floral scent.